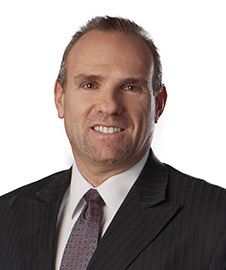 Mr. Schulman is a partner at the firm’s Las Vegas office where he maintains a litigation practice. His experience includes litigation and defense of claims concerning transportation, personal injury, premises liability, negligent security, construction defects, and contract disputes. Mr. Schulman has been actively practicing in Nevada since 1995. During this time he has successfully defended clients against numerous claims. This includes obtaining summary judgment, negotiating settlements and trying cases. He served as a small claims referee in 2011 and 2012. Away from the office, Mr. Schulman enjoys spending time with family, playing golf, lifting weights, obstacle course racing and competing in varying distance road and trail races, including marathons.